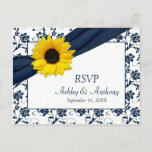 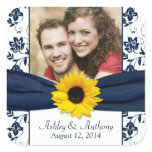 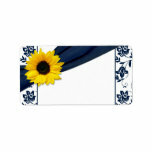 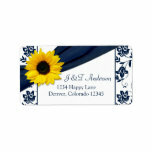 Classy midnight blue or navy marine blue and white floral damask yellow sunflower wedding reply card. 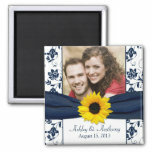 The text is easy to change on the Zazzle website. 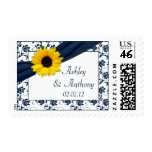 It can also be used for other purposes, such as a wedding information insert card, or a direction, reception, and/or accommodation card.